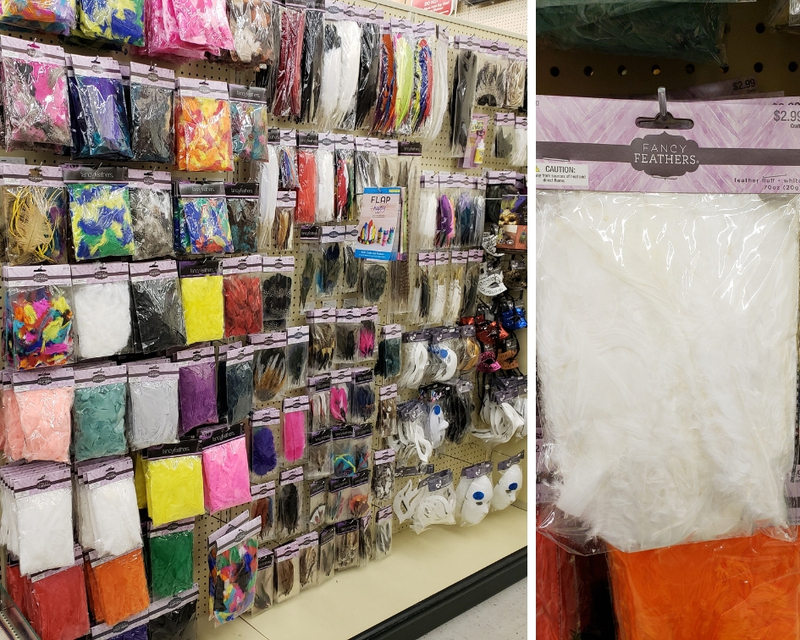 Do you find yourself asking how to take something “costumey” and make it luxe? I do. Every day! Doesn’t everyone? 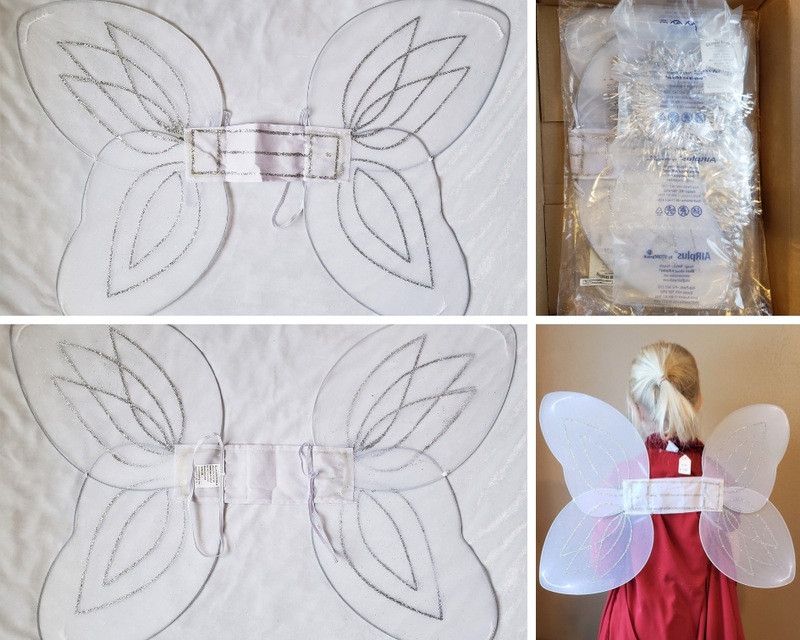 Well, to illustrate my eternal quest, I’m going to show you how I transformed cheapo fairy wings into magical, downy, sparkly wings. At least, that’s what I was attempting for our Valentines Photo Shoot. First, I ordered some cheap, white wings on Amazon. (Normally, I like to find second-hand costume pieces, but this doesn’t always work if I need multiple, identical items.) 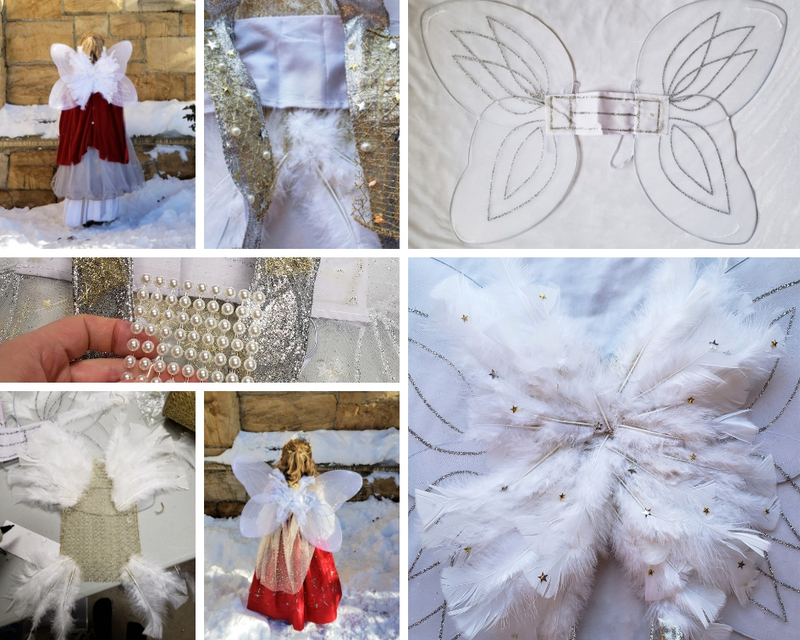 Each set of wings came with a tinsel halo on a headband, which I didn’t use for this project. *Disclaimer* I am an Amazon Associate. Any purchases made through my affiliate links gives me a small commission. I am careful to only promote products that I personally use and enjoy! 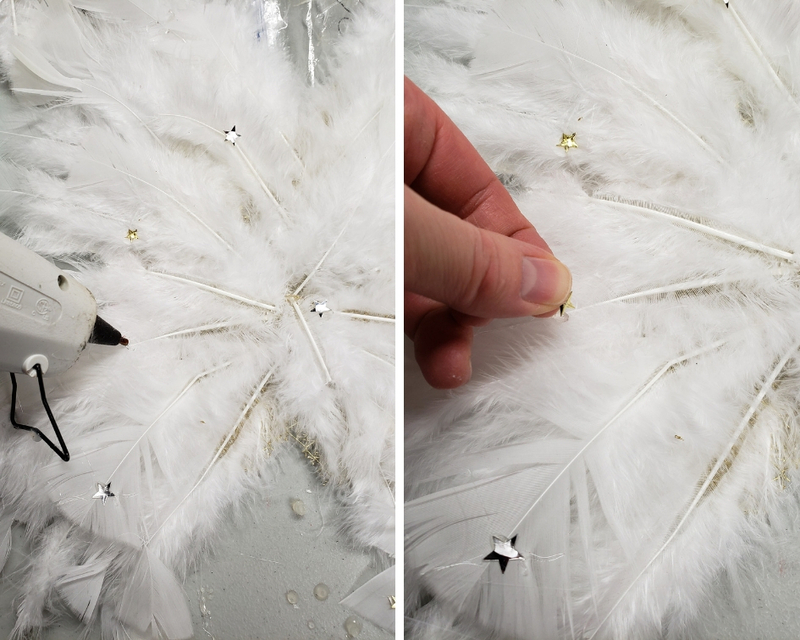 Now it was time to make the feathered accents for the fairy wings! I wanted to make something that could be taken on and off the wings. leaving them adaptable for future projects. 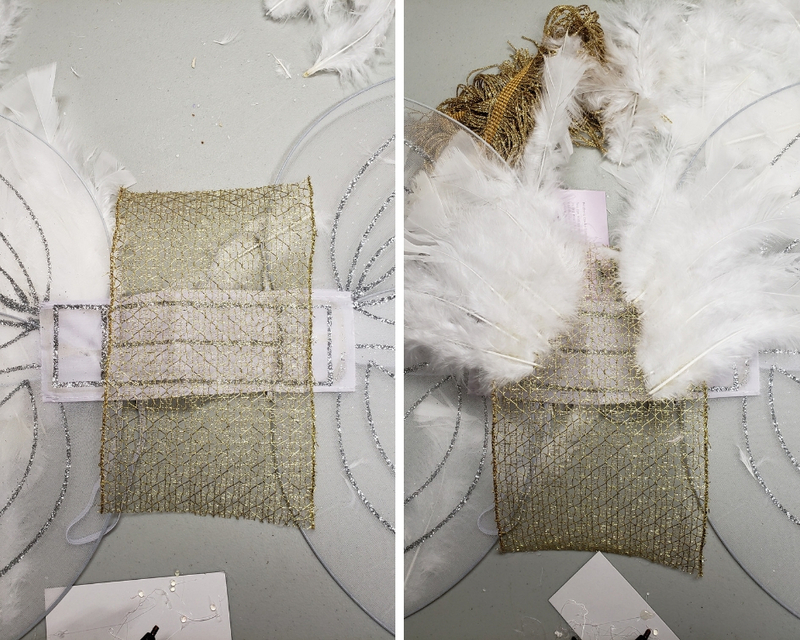 Applying the feathers directly to the wings was not an option. 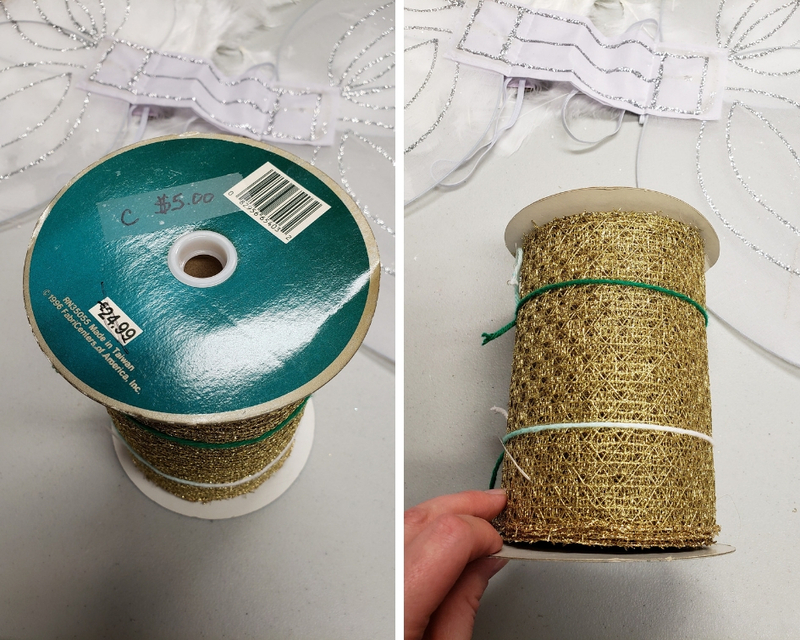 Instead, I chose this spool of wired, gold mesh from my stash, to be the base material. 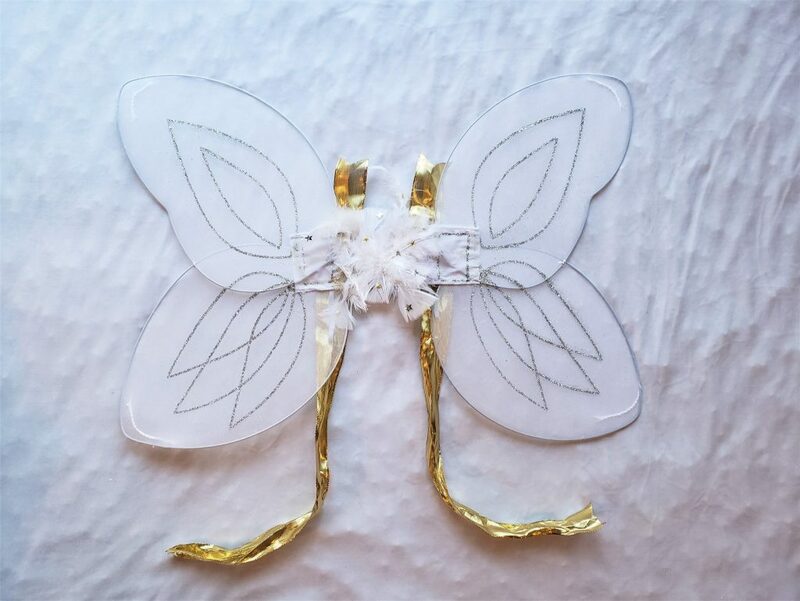 It would be strong, light, and pretty looking if viewed from either the front or back of the translucent wings. 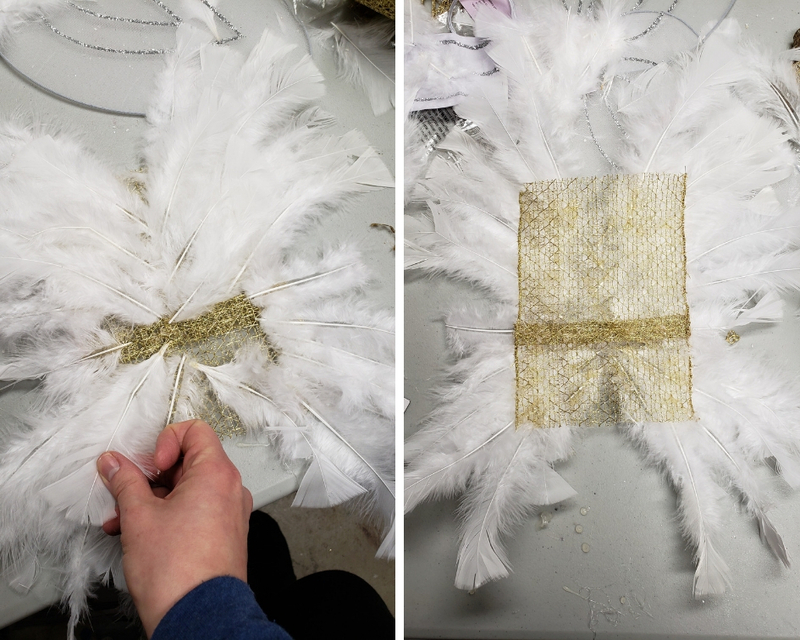 After cutting a strip of the wired mesh, I started “winging it” and hot gluing feathers in a butterfly shape. Sorry for the bad pun! As I went along, I realized that the piece of wire mesh was too long. I didn’t want to cut it or start over, so I just folded a tuck into it. This shortened it by about an inch. Then, I just kept gluing feathers and burning my fingers! 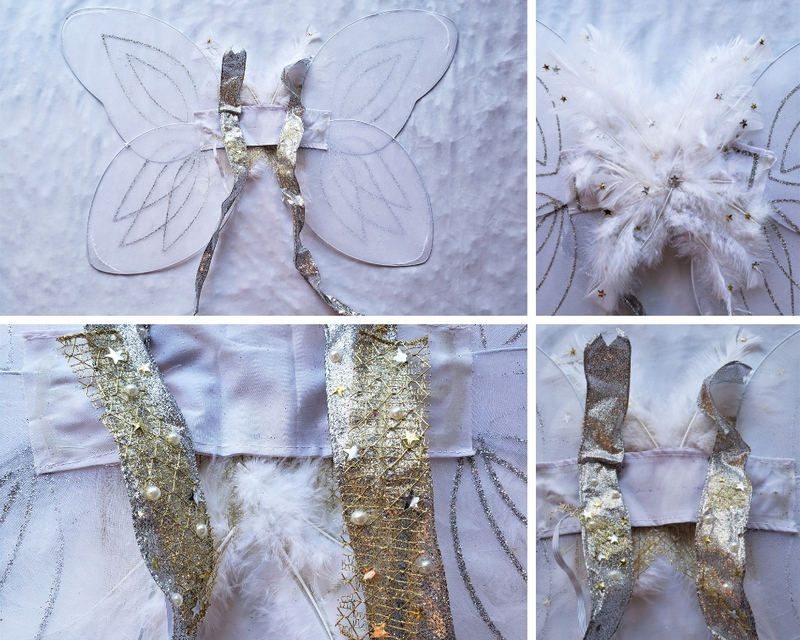 Do you want to hear the story behind how I got the star glitter confetti for the wings? Well, I’m going to tell it to you, anyway. 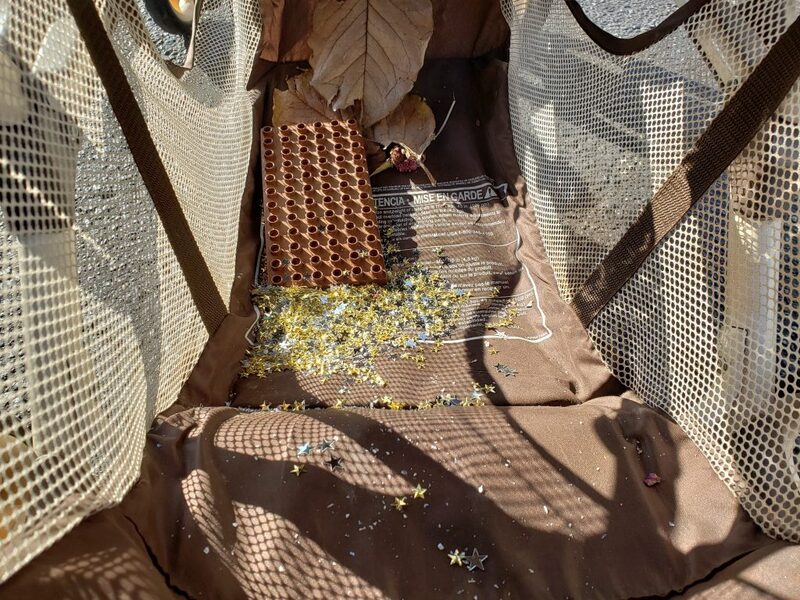 It all started when a package of Dollar Tree star confetti exploded in the undercarriage basket of our double stroller, during a shopping trip at said establishment. Yes, this is a picture of the aftermath, plus the random stuff that the kids like to keep down there as part of their “collection”. So, for the last few months, we’ve been leaving little sprinkles of confetti wherever we go. Anytime we pop open the double stroller, “Whoosh!” a little bit of whimsy and pixie dust is left behind. You’re welcome, Wenatchee. When it came time to apply some sparkle, I ran outside and grabbed a handful of confetti from our trunk. 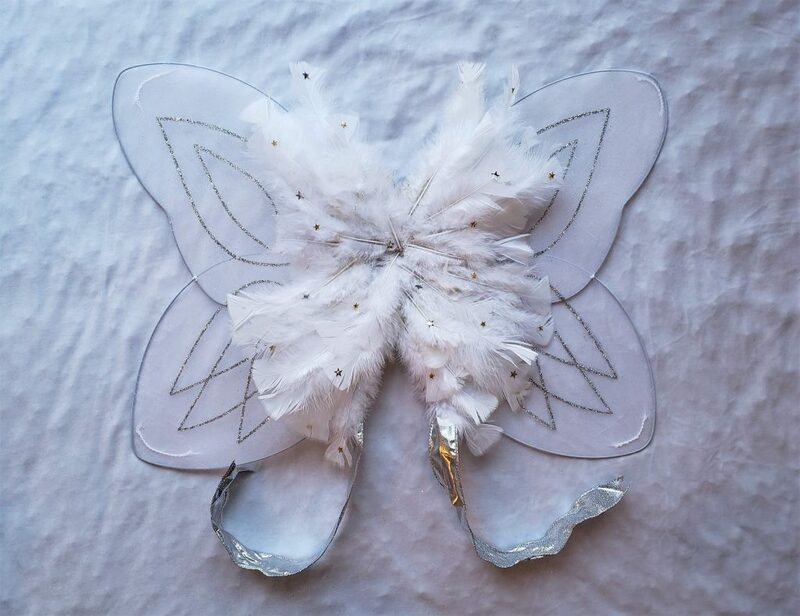 Next, I wanted to come up with something glam to cover the white, elastic straps of the fairy wings. 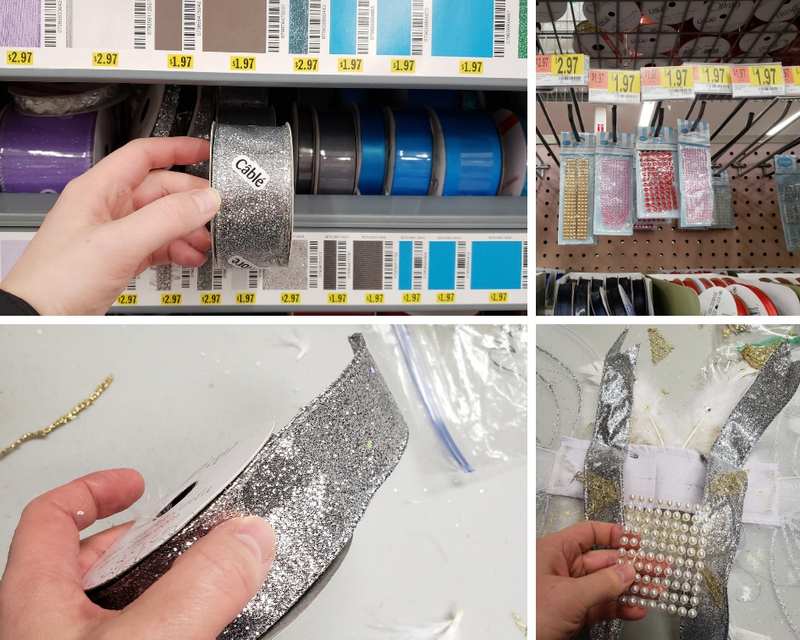 I found this glittery, wired ribbon and adhesive “pearls” at Walmart. I hand-stitched the ribbon to the top of each elastic strap, leaving some extra at the top. 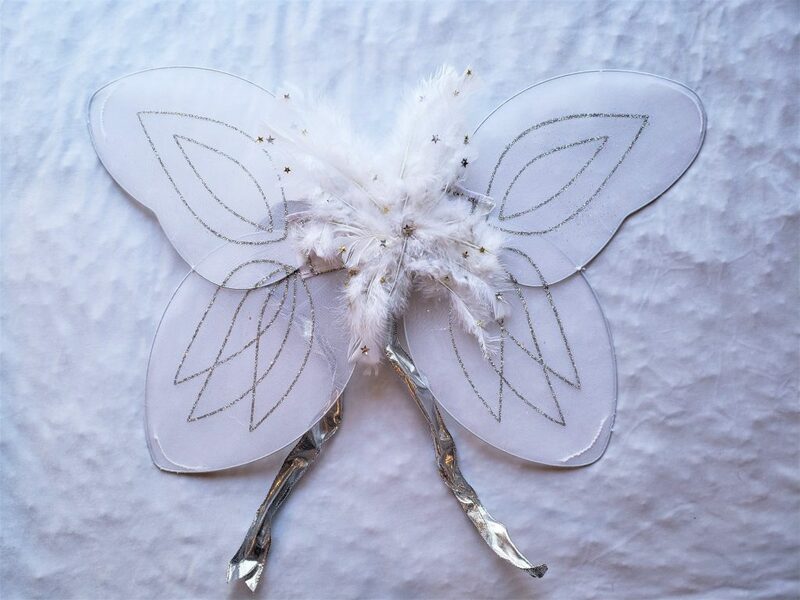 Then, I left about a two-foot tail, so there would be plenty of length to tie the ribbon ends at the center back, when the wings were worn. I added bits of the gold mesh ribbon and more star confetti and pearls to finish decorating the ribbon strap covers. 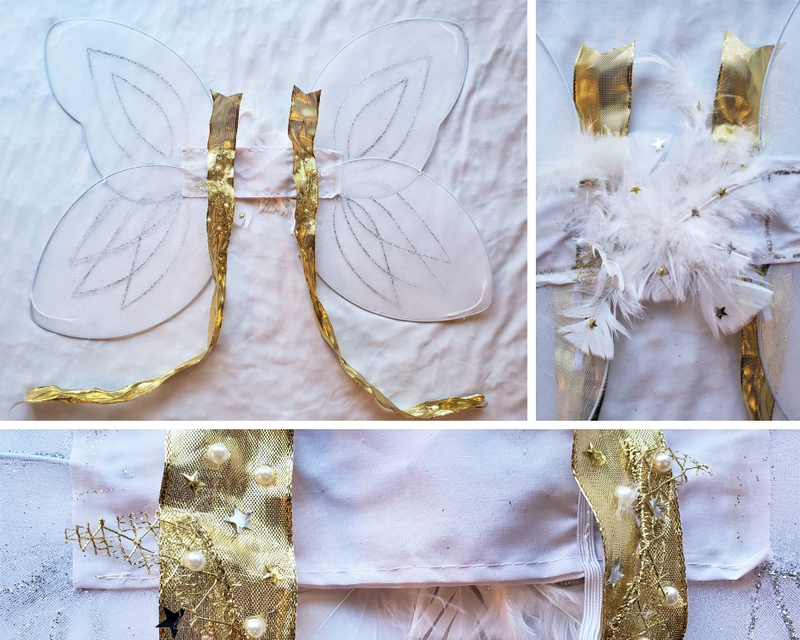 Here are Emma’s finished wings! 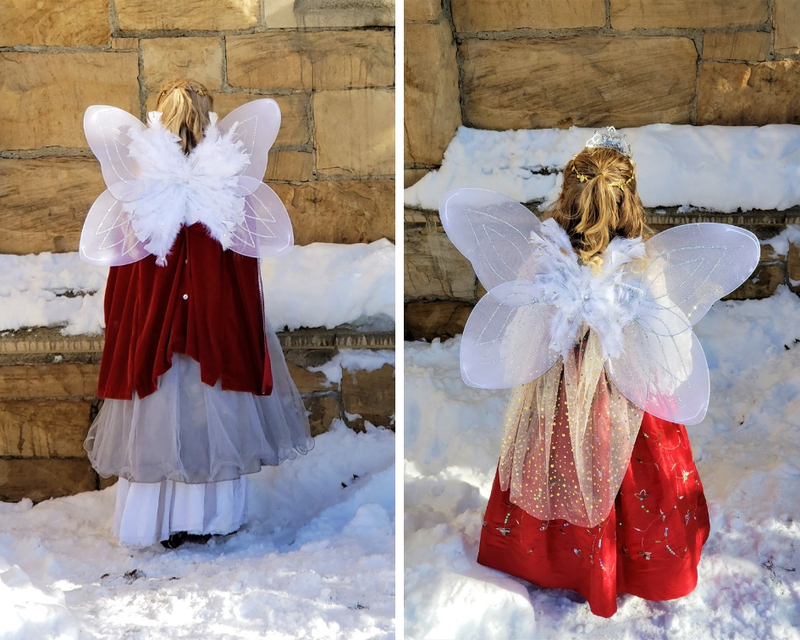 Here are several different views of Emma and Eliza’s decorated wings. I don’t have photos to show it, but the feathered center piece is attached with snaps. Her strap covers are made from gold wired ribbon that I already had in my stash. You know me…Texture and layers are what make my world go ’round! 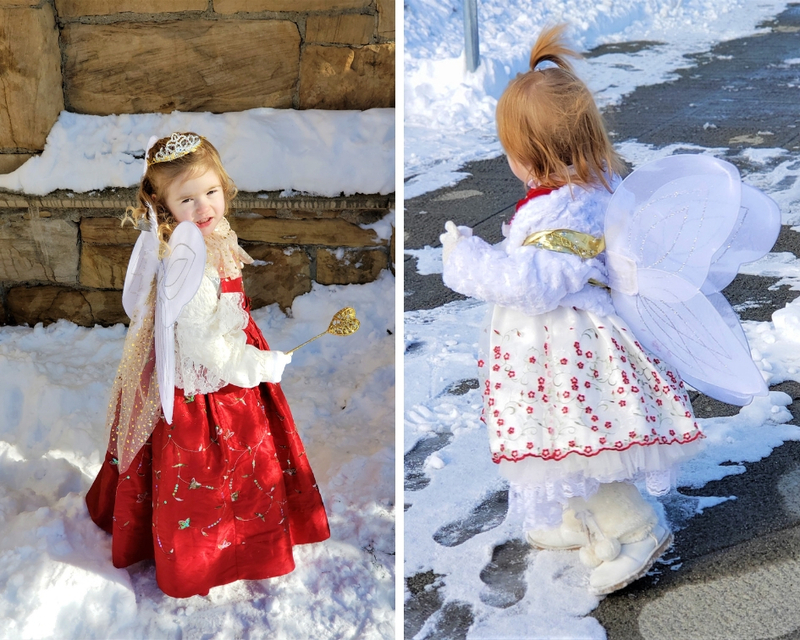 Stay tuned for my next post, where I show how I altered the girls’ tiaras and put their winter fairy princess costumes together. Thanks for reading!